Last night I was on the website for the Toronto-based new music organization Soundstreams, looking for info on their upcoming season, and I chanced upon a concert recording made back in March of 2011. 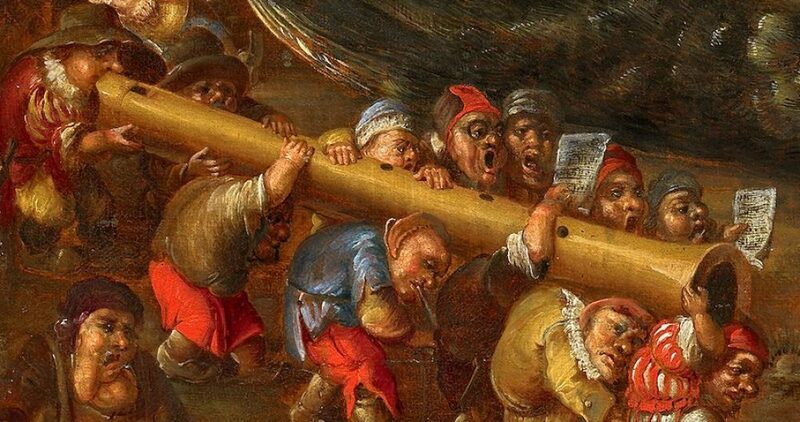 It was a recording of ‘Breathe,’ a piece composed by James Rolfe and scored for three female voices with medieval instrumental ensemble, which in this case meant organ, recorder, nyckelharpa, lute and percussion. The words included texts from Hildegard of Bingen. 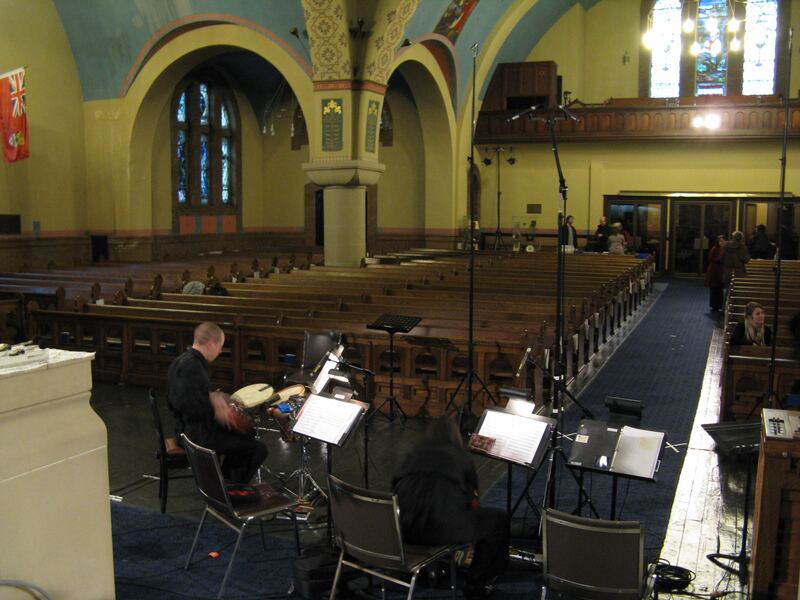 We rehearsed and performed in St. Anne’s Anglican, one of Toronto’s most historic churches. Built anew in 1907, the architect Wm. 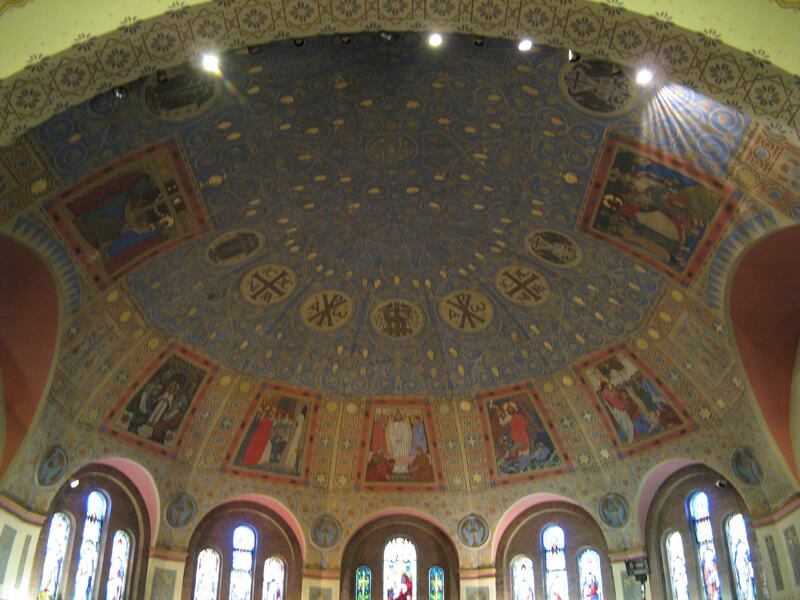 Ford Howland styled it after Byzantine models, and it has a beautiful central dome which dazzles with painted stars. 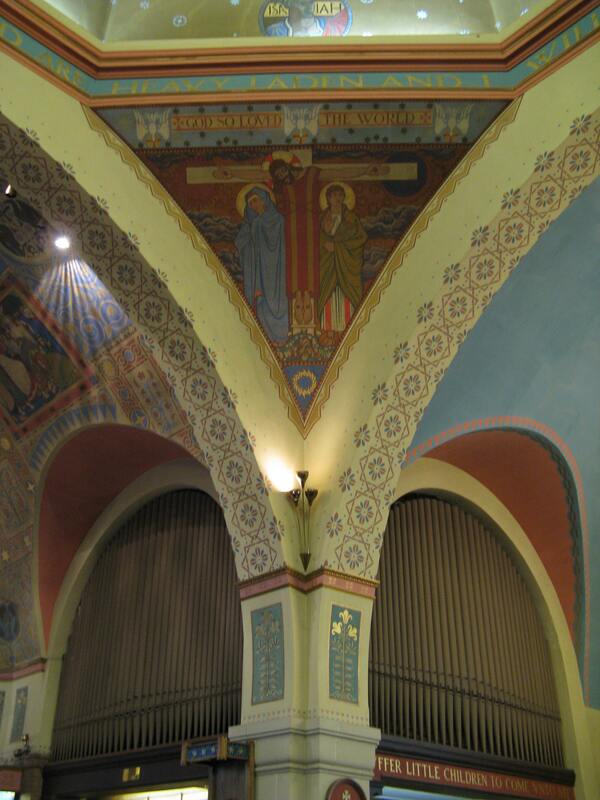 Members of Canada’s artist collective the Group of Seven – MacDonald, Carmichael and Varley – were among the artists who decorated the new church in 1923 with spectacular paintings and sculpture. Worth a visit if you haven’t seen it! I took some shots to remember the experience. Here are three. This entry was posted in Gigs You Don't Forget and tagged Group of Seven, James Rolfe, Soundstreams, St Anne's Anglican Church, Toronto Consort, Trio Medieval by Alison. Bookmark the permalink.